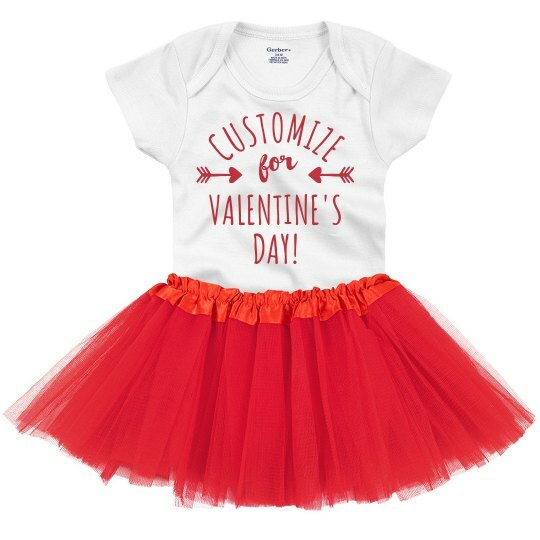 Introduce your baby girl to their first Valentine's Day by creating a festive custom outfit for her to wear on February 14. Fill her day with endless love with this customized tutu onesie. Easily create one in our design center by uploading your own artwork, image, and text or be inspired by our clipart library while creating this memorable outfit.